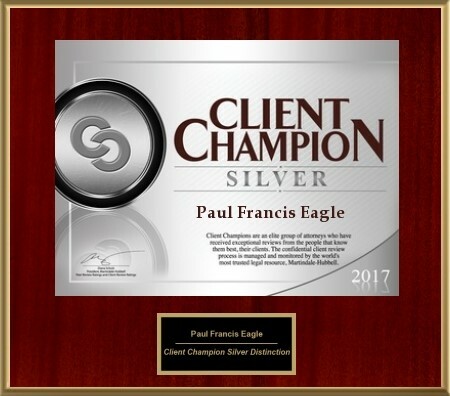 Paul Francis of Eagle Law Offices is Awarded Client Champion Silver Distinction | Eagle Law Offices, P.S. Client Champions are an elite group of attorneys who have received exceptional reviews from the people that know them best, their clients. The confidential client review process is managed and monitored by the world’s most trusted legal partner, Martindale-Hubbell.